Video Production Workshop is a small video production company based in Central West London. “We like it here because it has great access to anywhere in UK and all major airports making it easy for us to travel to our work” said Managing Director, Phil Compton. We produce a variety of films for production companies and blue chip clients direct. We have been in business for twenty eight years a lot of our work is now for the web and intranet. simplewebhosting.co.uk has been our Internet host for five years or more and we consider them the best in their field, we also recommend them to all our clients, and there are none better or more reliable than simplewebhosting.co.uk. We have a very simple two page ‘corporate looking’ info only presence, which as we update equipment and facilities, we can update our site very easily and quickly to keep our clients informed of our changes. On here we can also direct clients to our latest reels. We consider simplewebhosting.co.uk to be fab partner and are there for advice as and when we want. I’m not a techno wizard when it comes to design on the web, but simplewebhosting.co.uk’s new, easy to use, cPanel makes changes and updating very easy … we have had some great new clients take their business to us because of our site. 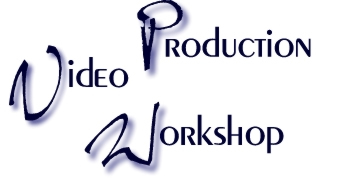 You can view Video Production Workshop‘s website to find out more about them. 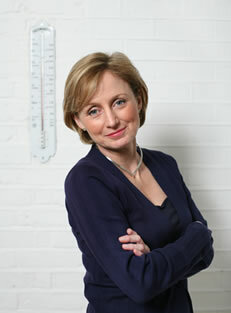 Dr Rosemary Leonard is one of the leading ‘media-medics’ in the country, having worked in the national press for over 20 years, and appearing regularly on BBC breakfast for over a decade. Known to be the voice of common sense, Dr Rosemary is in demand as a consultant to the pharmaceuticals industry as well as her normal media work. Despite these pressures, she is still a ¾ time GP in South London. We looked to create a website for Dr Leonard to increase her public profile and approached a number of companies. We were initially attracted to simplewebhosting.co.uk by their clear pricing structure, and as soon as we spoke to them it was clear that this was the company we’d been looking for. The service from simplewebhosting.co.uk has been absolutely fantastic. They were very helpful explaining to us the various stages involved with putting a site on the web, and seemed to have an intrinsic understanding of our requirements. We were really happy with the website design, and they created it so fast the limiting factor was us supplying them with the content! Once the site was up and running, the service has remained top-notch, with regular calls to check everything’s running smoothly, and answering any questions we had without delay. Most of all, they have been friendly and helpful, no matter how big or small the problem or question was. The service from simplewebhosting.co.uk has surpassed all of our expectations, and without a shadow of a doubt we would recommend them wholeheartedly. You can view Dr Rosemary’s website. Our first installment in the ‘Meet Our Customers‘ series features one of our oldest (and we hope, happiest!) customers, Whitespace Publishers Ltd. Based in Boston in Lincolnshire, Whitespace produces a variety of publications including Lincolnshire Bride and Groom, The Skeggy Guide and their flaghsip publication, Lincolnshire Pride. Whitespace has been hosting with simplewebhosting.co.uk since 2001 and have also made great use of our web design service to manage the creation and day to day running of their flagship magazine’s web presence. With a team of 20 staff accessing e-mail constantly throughout the day and from around the county using mobile devices, reliability is key.